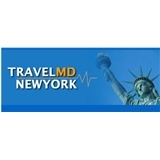 Travel MD New York (Astoria) - Book Appointment Online! I like Dr. Vasa. He is a good doctor and a caring person. I felt comfortable in his care. I wan not 100% happy about having such a long wait to see him though.